What Is a Cooper Vane? The Cooper Vane security system prevents Airstairs from opening mid-flight. Hijacker D.B. Cooper commandeered a Boeing 727 in 1971. A Cooper Vane is a security device which is fitted onto aircraft with built in sets of stairs, known as “Airstairs.” Most aircraft do not have Airstairs anymore, because they are designed to taxi up to terminals, and at small airports, airport staff will wheel out a stairway for passengers to use. The Cooper Vane prevents the Airstair from being engaged while the plane is in flight. The inspiration for the Cooper Vane was a hijacker named D.B. Cooper, who hijacked a plane in 1971. After demanding money and parachutes, Cooper apparently lowered the rear Airstair of the plane and escaped. 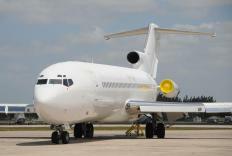 Cooper and the money were never seen again, suggesting that the ploy may not have been entirely successful, but observers noted that the Airstair in the Boeing 727, the type of aircraft Cooper hijacked, was particularly vulnerable to this type of activity. 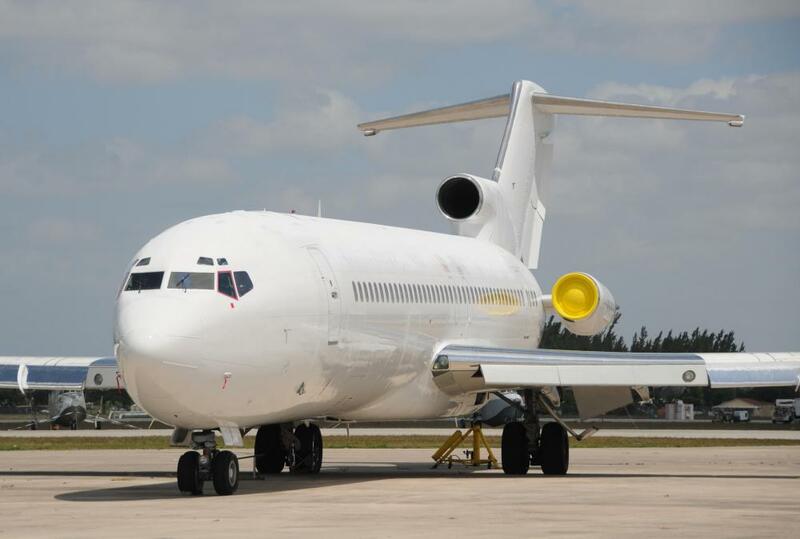 Most of the main cabin doors would be extremely difficult to open in mid air, but the rear Airstairs on the 727 series jets were ideal for mid-air escapes. In 1972, numerous hijackings occurred, and some of them followed the Cooper model. In response, the Federal Aviation Administration mandated that the Cooper Vane had to be installed on aircraft equipped with Airstairs. Some airlines chose to dispose with Airstairs altogether in response to the problem, while others installed the device for airplane protection. The mechanism behind a Cooper Vane is relatively simple. It consists of a paddle shaped piece of metal attached to a spring. When the aircraft is on the ground, the metal projects perpendicularly out from the plane, allowing the Airstairs to be raised and lowered at will. Once the plane is airborne, air pressure pushes against the device, forcing it flat against the fuselage of the aircraft. The Cooper Vane is positioned so that when it flattens out, it will lock the Airstair from the outside. When the airplane lands, the reduced airflow allows the device to pop back out so that the Airstair can be lowered. Many other safety measures have been implemented to make commercial aircraft less susceptible to hijacking. The Cooper Vane is only one such safety measure, and on a well maintained modern aircraft, numerous other safeguards are in place, such as locks on the doors leading to the flight deck. Commercial airlines attempt to reduce their vulnerability by combining mechanical measures with passenger screening and an alert, well-trained crew. Hijacking countermeasures have greatly reduced the number of annual hijackings in nations which use them. What are the Highest Performing Aircraft? Why can't You Use Your Cell Phone on an Airplane? Why do Airplane Seats Have to be Upright for Takeoff and Landing? D.B. Coopers' impact on the Airline Industry is profound considering that his escape not only caused airlines to take another look at their safety measures, but also caused many copy cat high jackings and forced the airline industry to take drastic steps in response. As the article stated not only was the Cooper vane installed to keep high jackers from exiting the plane, many airlines completely did away with the Airstairs. This was a very drastic step in regards to airline safety and completely changed policies of the airline industry, even as simple as boarding and exiting a plane. I find it quite interesting that the Cooper vane would be named after an infamous individual rather than the man or woman who created the mechanism. This goes to show how much of an impact D.B. Cooper had on the airline industry considering all the reforms and advances that came out of his infamous high jackings.